Odissi is an Indian classical dance form, which originated in Orissa in India. The history of the dance form is traced back to the days of Bharata Muni, who in his text Natya Shashtra, mentions about this dance form. It can be then roughly estimated to be around 200 BCE-200 CE that the origin of Odissi can be found. However, apart from this, the evidence of the presence of the dance form in history can be seen in the sculptures present in the various archaeological sites in Orissa. As represented in these sculptures, the dance form is an expression of love, passion, and desire and often performed religious stories and spiritual ideas talking about the human-divine connection. Earlier, in the beginning, these performances were done by women, and in fact, Odissi has its origin in the Devadasi tradition. Let us first know about the development of Odissi. But, with the passage of time, this dance form saw some developments which brought about changes in its structure. 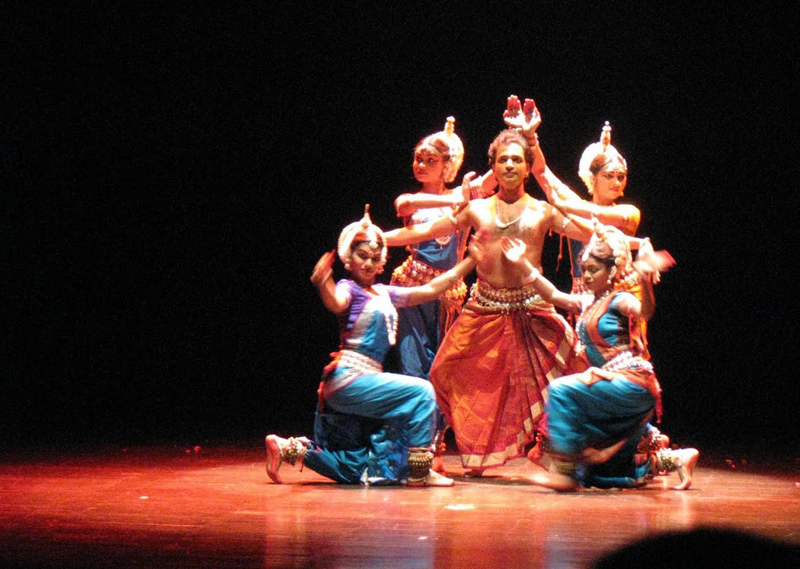 These were encapsulated within the three schools of Odissi dance, which were namely Mahari, Nartaki and Gotipau. The Mahari tradition has its roots in the devadasi tradition. Nartaki was the developed dance form which took place in the royal courts. And The Gotipau tradition includes young boys dressing up as women and performing women roles. The most important feature of this dance form is tribhangi. It means the division of the body into three expressive parts- head, bust, and torso. It is a distinguishing feature of this dance form which aims at audience engagement with rhythmic musical resonance. Odissi is a performative art which includes performances based on religious narratives and myths found in the Hindu scriptures. They are usually tales of love and passion and are performed through the use of symbolic costumes and body movement, which includes Abhinaya (facial expression) and Mudras (hand gestures or sign language). The five key elements of the structure of the dance form are basically invocation, nritta (pure dance), nritya (expressive dance), natya (drama) and moksha (the climax expressing the freedom of the soul). The dance form, however, faced a history of violence: during the Muslim rule, almost every Indian traditional art form faced an attack from the plunderers; and later in the British rule, Odissi was seen as defamatory to art with its women dancers, who were considered as prostitutes. As this art form was performed mostly around temples, during British rule, the dancers were seen as idol worshipping prostitutes and were banned from performing such rituals in front of the temple. The anti-dance movement of 1892 launched by the Christian missionaries is a clear example of the status of degraded art form Odissi received in the past. Yet, it thrived and witnessed a revival in the 20th century which saw famous practitioners of this dance form who took it to a different level. Some of its leading practitioners were Guru Deba Prasad Das, Guru Kelu Charan, and Guru Mahadev Rout, to name a few. 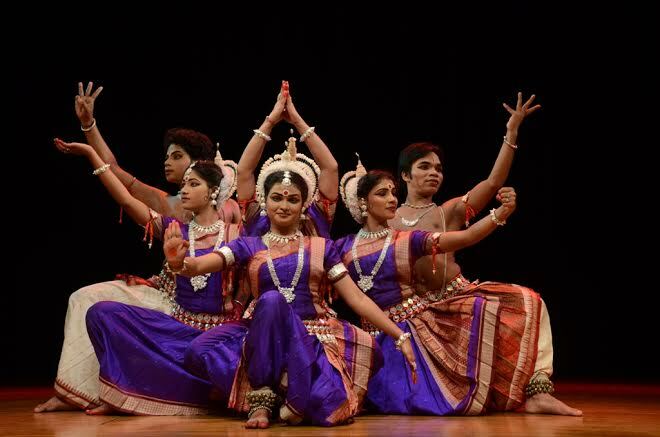 They, with their earnest devotion to this dance form, helped to promote Odissi with its artistic elegance to the world and helped revive this age old tradition of expressive devotion to the Gods through dance and music.